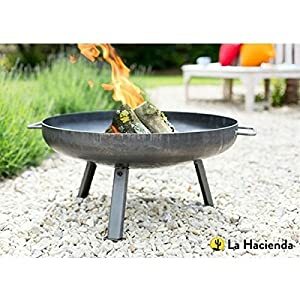 We are presently offering the acclaimed La Hacienda Pittsburgh Steel Firepit - Small - 60cm Diameter at a great price. 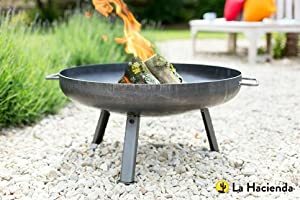 Don't miss out - buy the La Hacienda Pittsburgh Steel Firepit - Small - 60cm Diameter here now! 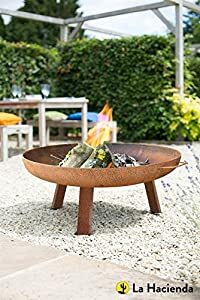 Made from heavy gauge steel, this fire pit can handle a lot of heat. Giving a 360-degree view of the fire and with an extra wide mouth, the industrial fire pit allows for a large fire. Starting with a gunmetal grey oiled finish, it weathers and develops to have an oxidised and rustic surface. 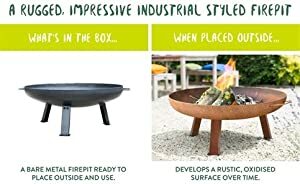 A rugged, impressive and industrial styled fire pit that is well suited for an organic style garden. Height 30cm, diameter 60cm.